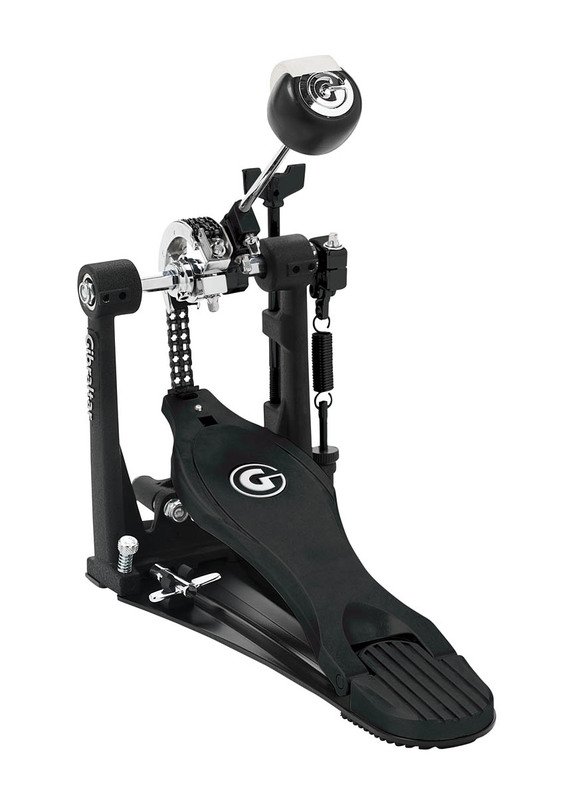 The Stealth G Drive bass drum pedal exemplifies the features that today's drummer demands in a pedal. While it has the strong; powerful feel needed to pull the best sound out of your bass drum; it is accompanied with the speed; fluidity; and precision needed to help you pinpoint each note quickly and easily. The pedal board height can be adjusted independently from the spring and beater angle to allow for a more comfortable playing experience. Other features to include; a quick response rocker hub spring assembly; fast touch pedal board; aluminum base plate with drum key; and a dual surface black and chrome 90 gram beater. The hoop clamp tightening wing bolt is placed at the top of the frame; giving you the ability to tighten and loosen the pedal from a seated playing position.